Lamar Jackson, the Huskers’ junior corner was originally in this spot and Honas was No. 4. I thought about them Wednesday morning, looked at one of the responses to the weekly mailbag and decided on the change. Don’t think of this as “Interesting Husker No. 6” but more “Interesting Defender No. 2,” if that makes any sense. I feel like I need that qualifier after bumping Honas two spots. Not that the junior college transfer would care but I’m afraid he might hit me and crush every bone in my body if he, in fact, did care. He has a Hudl highlight tape that is simply called “big hits.” That’s the title. No punctuation. There’s something about the lack of capitalization that makes it slightly more frightening as a small human. Honas put as little energy into naming the tape as possible so as to not mess up his rigid schedule of hitting any and every ball-carrier. He had another five people to de-cleat before the day was over (probably). Here’s the film. Sources say Butler Community College starting providing extra ice packs in visiting locker rooms when Honas arrived. He’s explosive. He’s attack-minded. He’s fundamentally sound. All he needs now is to get comfortable in the playbook and, according to head coach Scott Frost, be a little louder out on the field. Getting this kid to Lincoln was a big win for Frost and his defensive staff. Regardless of who steps on the field first for games, Honas will play major snaps for the Huskers this season at a position with serious depth. That’s saying something. There was an interview he did early on in the spring. Twenty-three questions in just over five minutes, that’s how much ground was covered during that interview because that’s how little Honas spoke. He’s a guy that’s more about doing work than talking about doing work. Mikale Wilbon begs to differ. We've reached No. 6 on our countdown of #Huskers. Honas put on his Infinity Gauntlet, snapped his fingers and watched a 5-foot-9, 200-pound bowling ball disintegrate into thin air. (I am not legally required to say spoiler as the movie has been out for over a week. Go see it.) Honas jammed the hit stick on his controller so far forward he broke the controller. A tweet of the same play from R Kay read: “I don’t know how good Will Honas will be, but he definitely hits people.” Yes. Yes, he does. 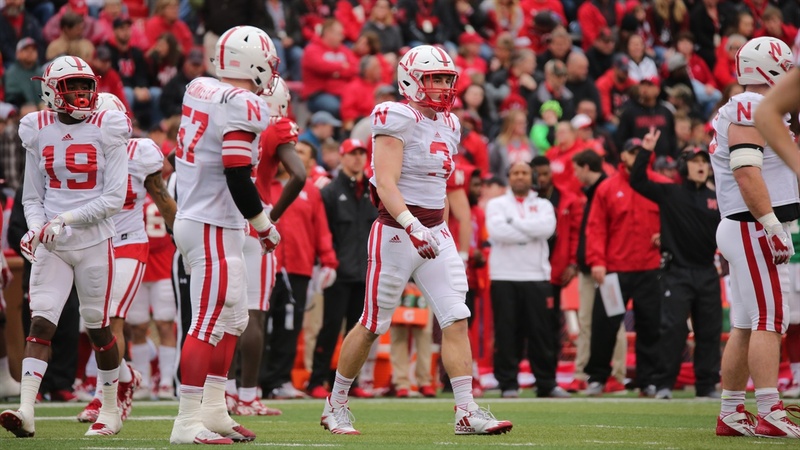 In the Huskers’ Red-White Game on April 21, Honas recorded six tackles (four of them solo, one for loss) for the White team and played most of the game. The Red team put up 49 points and 269 rushing yards while littered with presumed starters; if you want to hang some of that blame on Honas more power to you but Frost and Co. were hoping for, if not expecting, that kind of performance from the ones. Perhaps the coaching staff wanted to see Honas cut his teeth against the top guys and lead a unit on his own. Did they like what they saw? Time will tell but Honas’ name came up a bunch this spring. He was consistently a guy making plays, finding the ball and getting public praise from his coaches. Maybe the most interesting part of Honas’ game is his coverage ability. I mean, we’re talking about the top-ranked JUCO linebacker from last year’s class so of course his game is well-rounded, but during the spring game he covered wideout Tyjon Lindsey in the slot, tight end Jack Stoll step for step and Greg Bell out of the backfield. At 6-foot-2, 225 pounds, Honas doesn’t look like he’d be crazy quick but he is. He’s got an initial burst that can catch a blocker off guard. Plus, by the time Sept. 1 rolls around, he’ll have spent an entire offseason going against an offense that wants to push the tempo every chance it gets. Everyone talks about how that tempo helps the offense; don’t forget about the benefits it gives the defense facing it day in and day out. Defensive coordinator Erik Chinander likes to run some exotic stuff in his blitz packages. I’m picturing one of the Big Ten’s less-mobile quarterbacks progressing through his reads, glancing at his protection and seeing a twisting Honas firing through a free gap. Is that true fear? Color me intrigued.